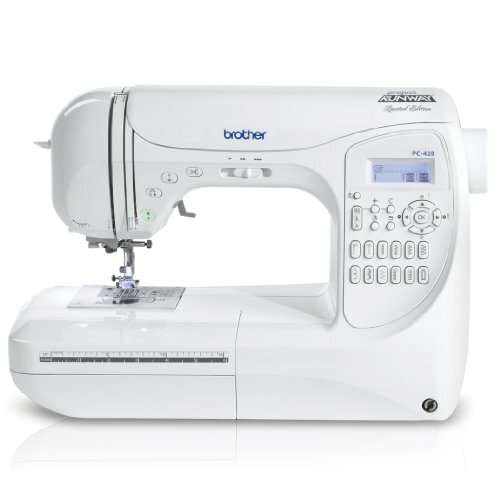 Finding the right entry level sewing machine when you are first getting started with this enjoyable hobby can feel overwhelming. 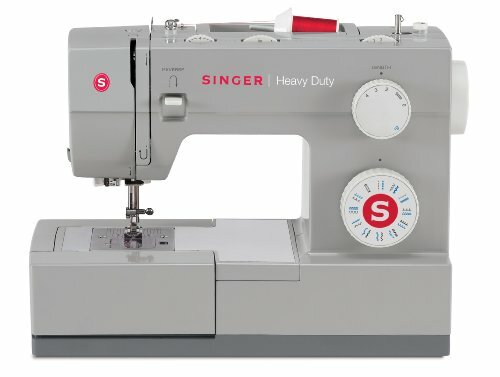 The Singer 4423 is a great starter machine for a newcomer to sewing. It’s an electric sewing machine rather than a computerized one but it still has a lot of features that make it a popular choice for new sewers. It’s a very strong machine, built with a heavy duty metal frame, stainless steel bedplate and powerful motor. It will last for years to come with the right maintenance and care and you can pass it on to another newbie when you decide to upgrade. 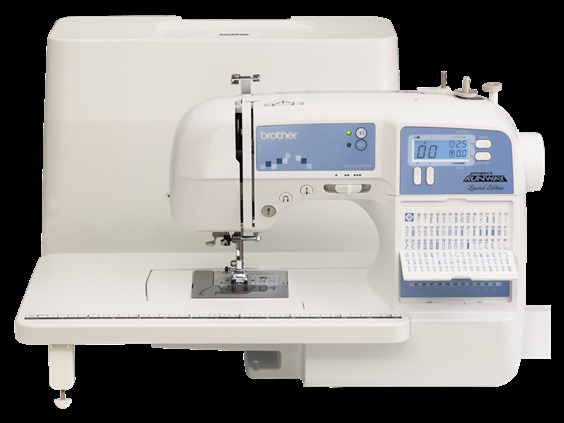 The speed of this sewing machine is 1,100 stitches per minute, one of the fastest speeds available, and that means it has plenty of strength for the jobs you want to use it for and can sew through almost any kind of fabric no matter how heavy. 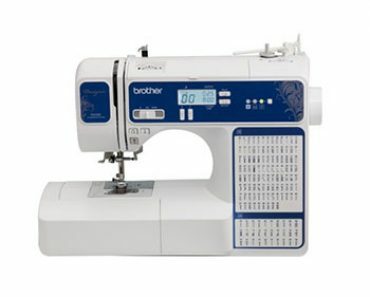 If you dislike the computerized machines that have come out over the recent years you will like the non-digital style and turn dial stitch selection that this great machine offers. There are plenty of stitch options and other features that are perfect for the new sewer. While a more advanced sewer will find the number of stitches extremely limiting, for a beginner, 23 will be a good amount to start with. 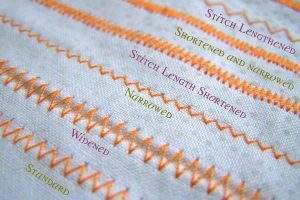 The stitches can be set for a width of 5mm maximum. Finding a machine that is easy to use is at the top of most people’s lists regardless of their skill level. No one wants to struggle with basic operations. 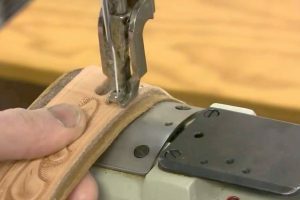 The design allows users to sew thick fabrics or several layers of fabrics without jamming and the automatic needle threader makes it easy to thread the machine without getting stuck. 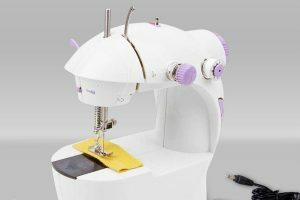 Add in the drop feed, top drop in bobbin and other great features and you have a heavy duty machine that is very easy to sew on. 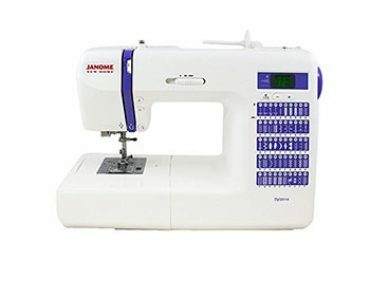 Features help make a sewing machine even more functional and enjoyable to use and every sewer wants lots of them in the machine they buy. 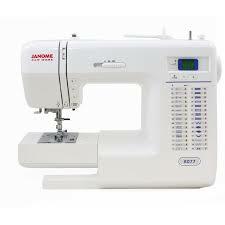 1,100 stitches per minute sewing speed, one of the fastest available. Accessories are also important for a new sewer and most machines come with a list of accessories that the user can utilize to make sewing more efficient and easier. 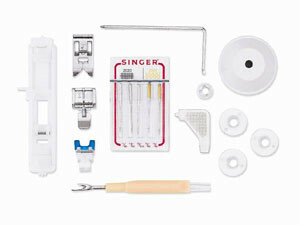 This sewing machine also has a nice array of accessories available for the user to use. 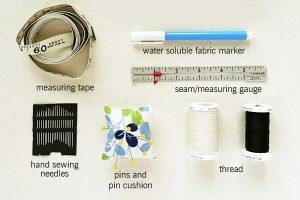 All of the above accessories are items that you will use often in your sewing projects. You can also purchase additional accessories that are not expensive as well. Customer comments can be a big help in giving you the information you need to make a good decision. If you are unsure of a purchase or even if you aren’t, check out the feedback and comment sections and see what customers have to say about things like performance, ease of use and other factors that will determine whether you would like that model. 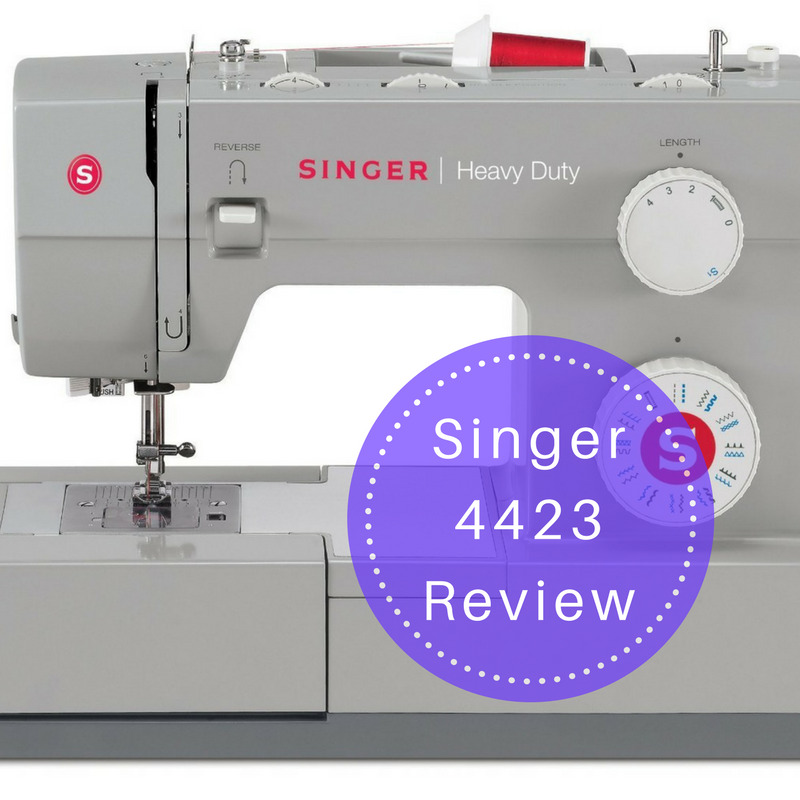 Below are some things customers have to say about the Singer 4423 sewing machine. Warranties are always a good thing for consumers and shows the company stands behind their products and the quality of them as well. The Singer 4423 has a 90 warranty on belts, attachments and bulbs, a 2 year warranty on the motor and electronic components and a 25 warranty on the machine head. 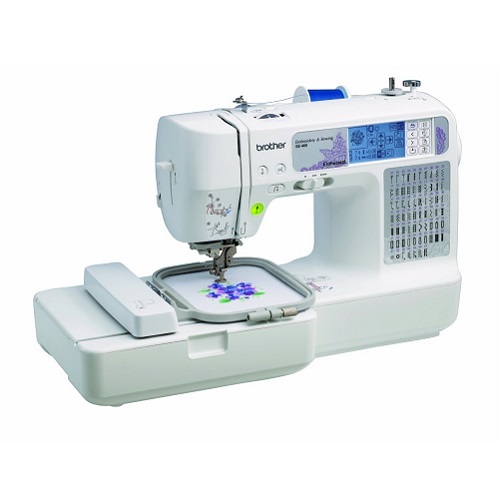 If you are a new sewer looking for a great beginning sewing machine, this is a perfect fit for you. The features, accessories and excellent speed are all perfect for a beginner just getting their feet wet. 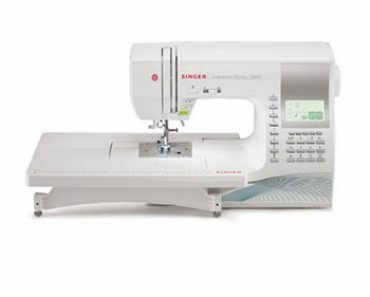 You’ll love the user-friendly interface and the fact that it can handle almost any fabric thickness you can think of with ease. 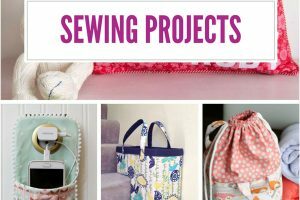 It is a strong machine that can last a long time until you are ready for something more advanced and then you can pass it on to your kids who are interested in learning the great art of sewing.